Home General News Which is the Best File Sharing App? Which is the Best File Sharing App? There were days when people used to rely on Bluetooth or USB cables to transfer files between two devices. Nowadays file transfers are done via either messenger apps like WhatsApp or dedicated file sharing apps like Shareit, FilesGo etc. If we talk about file sharing apps, SHAREit is currently the most popular file sharing app that everyone might have used at least once. Last year Google launched a 3-in-1 app Files Go that lets you view files, clean storage, and share files. You can download it for free via Play Store. Still, most of the Android smartphones lack a dedicated file sharing app. But this isn’t the case with Chinese smartphone maker Xiaomi. 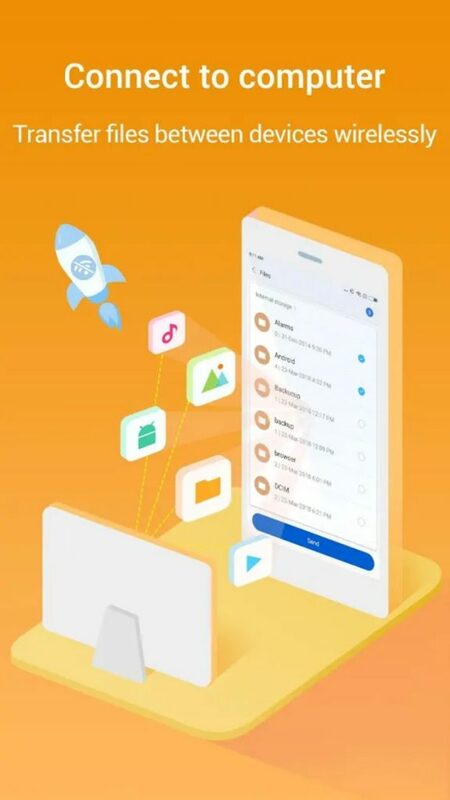 The company has announced its own file sharing app Mi Drop that lets you share files and it is also available for all Android users. We decided to compare these three file sharing apps against each other and see which is the best for sharing files. Starting with the design and user interface, SHAREit is the app which has not so clean UI. When you open the app, you will see two buttons at the top that are Send and Receive. However, apart from that, it’s filled with unnecessary stuff on the home screen. Thankfully, the other two – Files Go and Mi Drop have a clean layout. In the Files Go, you will find the clean tab to remove junk files from your device in a nice card-based layout, and send/receive buttons. Similarly, Mi Drop is also having a clean and simple UI. When you open the app, you see only two options – Send and Receive. All the three apps SHAREit, Mi Drop, and Files Go let you share all types of files. You can send images, videos, PDFs, apps etc. 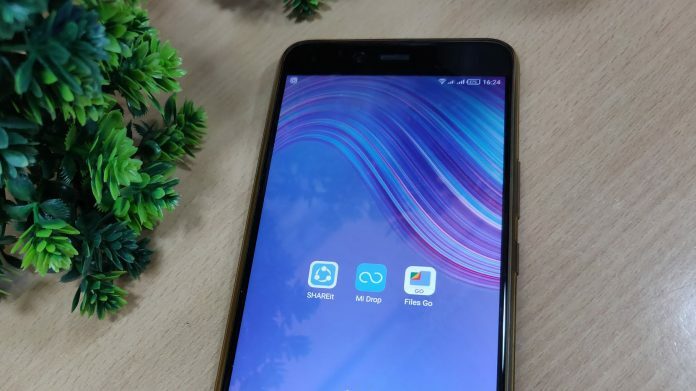 SHAREit and Mi Drop also come with a feature to share folders as well. Currently, the Files Go app doesn’t support folder sharing feature. When it comes to multi-user sharing, SHAREit beats the other two. The Files Go and Mi Drop currently don’t support multi-user sharing feature and you will have to transfer the files manually to each user. On the other hand, SHAREit has a separate option for multi-user sharing under the menu icon at the top-right corner on the homepage. Shareit has Group Sharing feature that can share files among 5 devices at the same time. All the three apps boast of offering faster file-transfer speed compared to other mediums. The Files Go claims to transfer files with up to 40MB/s speed while SHAREit can go up to 20MB/s. The Mi Drop also offers equally good file transfer speeds. Files Go can offer up to 40Mbps transfer speed. When it comes to file size, all the three apps send files without any size limitation. So you can send files of any size using these apps. The SHAREit app has a plethora of ads starting from the home screen to any other screen. Thankfully, the Files Go and Mi Drop are free of ads. These apps don’t show any ad to its users and you won’t find a single ad in any screen of these apps that give them a clean look. Mi Drop and Files Go don’t show ads. SHAREit is ahead of the other two apps when it comes to other platform availability. It is available for Android, iOS, Windows phone, and Mac users. There is also a dedicated Windows PC app of Shareit. Whereas Files Go and Mi Drop are limited to Android only. Neither they have an iOS version nor any Windows app. Mi Drop which comes pre-installed on Xiaomi devices running MIUI can be downloaded from the Play Store. You can connect Mi Drop to your computer as well. Google’s Files Go app weighs less than 6MB in size. While the Lenovo’s Shareit goes up to 14MB. Mi Drop takes the minimum space on your device and it weighs just 3-4 MB. Download Shareit from Play Store and App Store. Download Files Go from Play Store. Download Mi Drop from Play Store. Coming to the conclusion, Shareit is the oldest among the three and the most popular app, however, there are certain drawbacks in it. Such as it comes with lots of annoying ads that you don’t want to see every time you transfer a file. Also, it has a complex UI. Whereas Files Go and Mi Drop are ad-free apps with a clean UI. Moreover, the Mi Drop and Files Go take a very small portion of your storage. So, if you want a simple file-transfer app for Android devices with no ads, Mi Drop and Files Go are the clearly good options.